Market Growth: Is the industry growing in a positive or negative direction? SWOT Analysis: What are the strength, weaknesses, opportunities and threats in the industry? Technology & Trends: How is technology affecting the industry? Are there any trends that might affect your marketing strategy? Major Players/ Competitors: Who are the major players in the industry? They may be who you aspire to be or competitors you might want to look out for. In today’s competitive market, competitor analysis is an essential part of the research process; it’s intention is to analyze your competitor’s strengths and weaknesses and to understand clearly how you position your brand against them. The first step in this process is of course to determine who your competitors are. There are many ways to identify your competitors, one of which is to use relevant keywords on search engines to see what similar businesses appear. If you run a PPC campaign, look out for other businesses bidding on the same keywords. You can also ask your customers who they see as your competitors. Vision and Mission: What is the vision and mission of your competitor? Target Audience: Who are they targeting? Products and Services: What products and services are they selling? Are they selling the same products and services as you? Unique Selling Proposition: What is their unique selling proposition? SWOT Analysis: Come up with a SWOT analysis for your competitor, listing their strength, weaknesses, opportunities and threats. Online Communication: What are they doing online? Make sure to analyze their website, their positioning on search engines and their social media accounts. 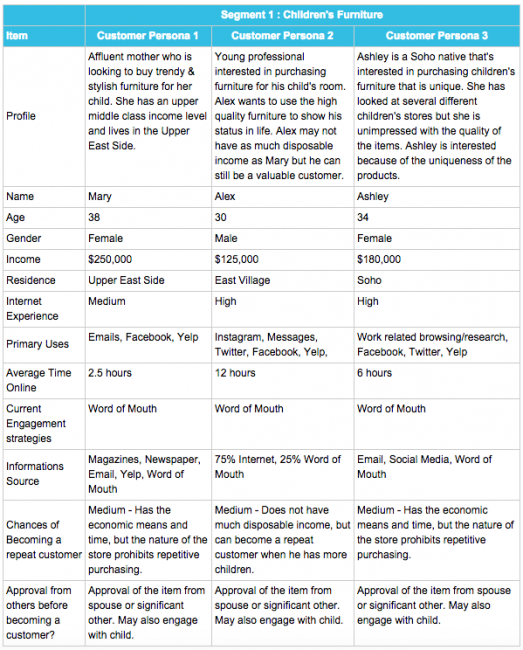 A table like this can provide a snapshot of each competitor’s social media presence. A social media influencer is an individual who has the power to influence your audience’s perception of your business via social channels. Start by making a list of possible social influencers for your business. Look at popular social media profiles filtering by geography and category of interest. Follower Wonk is a great tool to start building your list. Look out for relevant hashtags used. Personas are fictional narratives describing particular representative users and serve as a stand-in for real users during the design process. 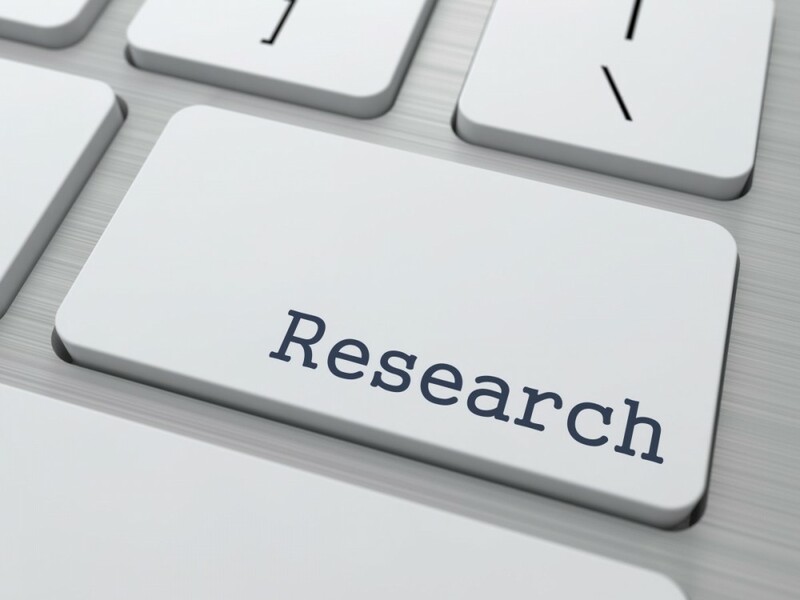 Personas arise from the research phase and are informed by surveys, interviews, focus groups, and other research methods. Personas typically include a name, demographic information, level of expertise, and platform details such as connection speed, operating system, and browser software. Personas also include detailed information about user goals and motivations. The second part of the research phase is all about analyzing your environment to discover how external factors may help or harm you. This research along with the integrated marketing audits conducted in the first part will help you develop a better integrated marketing strategy which we discuss in the next part.